How do you like to watch your sports? As a spectator in the stadium, soaking up the live atmosphere of the crowd around you, cheering your team on and enjoying just being where the action is? Or maybe you prefer watching TV coverage at home, listening to expert commentary and able to see replays that zoom into the action, as well as behind-the-scenes views the live crowd never gets to see. Well, there is now a way to get the best of both experiences and it’s a technology that Chunghwa Telecom (CHT) is trialing at Taiwan’s Taoyuan International Baseball Stadium, home of the Lamigo Monkeys. 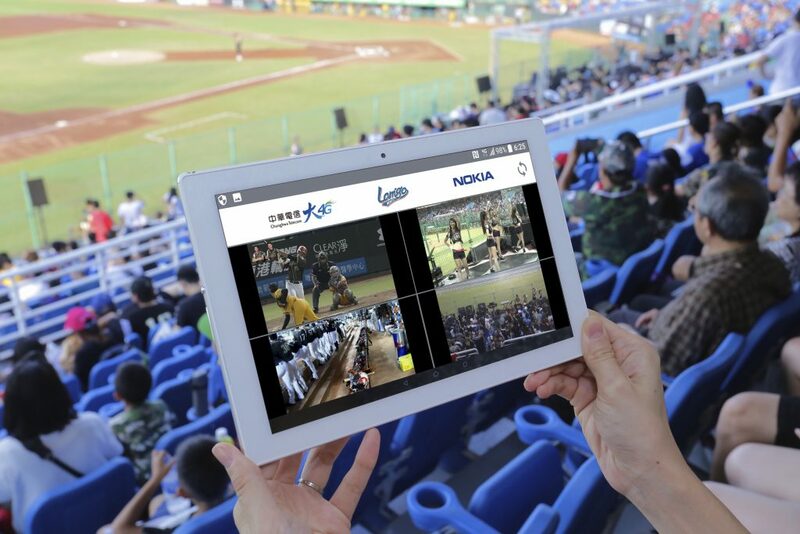 The operator is working with Nokia to deploy Taiwan’s first Edge Video Orchestration (EVO) service that will enable 300 of its 4G customers at the stadium to use their mobile devices to watch multiple real-time video feeds of games and other action. Spectators can see four video feeds on a split screen or select one for a close-up view. The video feeds will cover the game itself with commentary by the Lamigo TV sports anchor, the dance routines of the LamiGirls cheerleader squad, the locker room and the bullpen. Although the stadium is already under the macro coverage of another vendor’s network, CHT turned to Nokia for both the small cell stadium underlay deployment and the Mobile Edge Computing (MEC) solution needed to enable these EVO services. The Nokia Flexi Zone base stations, using 30 MHz of LTE spectrum, are installed in the stadium to deliver the massive capacity needed to support both the MEC video orchestration application and the subscribers’ other mobile broadband needs. A key requirement was that the base stations themselves not be visible to spectators, so they have been blended into the surrounding stadium environment helped by the all-in-one design of the Flexi Zone Base Station, which is also the industry’s smallest micro base station. While normally not an issue for off-site TV / Internet viewing, traditional video broadcast has up to 30 seconds delay, which is not acceptable for people in the stadium, as the video feeds would be way behind the action. MEC delivers the very low latency needed between the live action and local video content by “intercepting” the different video feeds, and leveraging the MEC local computing power to process the videos close to the subscribers being served. This ensures a near real-time video experience for all the different camera angles and locations. CHT expects the technology to drive the development of other services such as image analytics, navigation, IoT, augmented reality, mobile office and smart security. For events though, it’s all about making it even more appealing to attend in person. CHT also sees the trial as a significant step in its journey to 5G. A further advantage of using Flexi Zone small cells is their rapid speed of deployment. With a very tight timetable being imposed, Nokia prepared the site, installed and integrated the small cells, deployed the switch and performed end-to-end verification in just 14 days, followed by software customization, video streaming tests and optimization to boost performance. We can all cheer that.